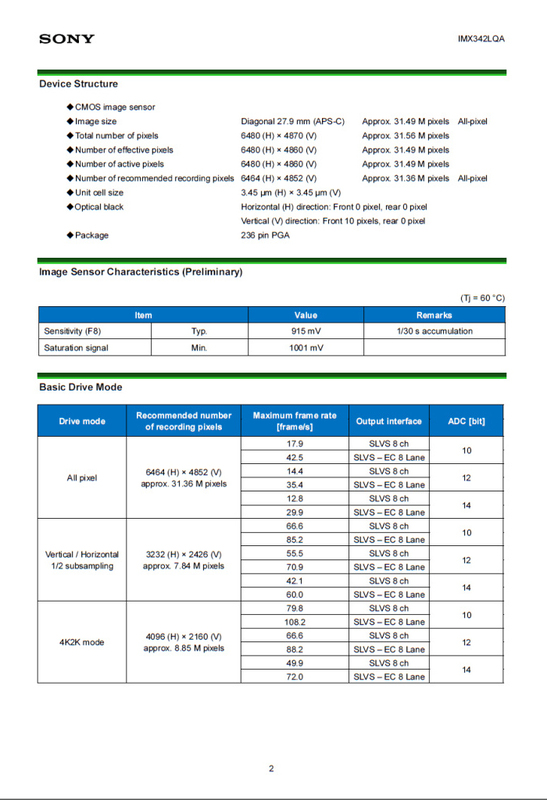 Sony a6700 to Use 31.49MP IMX342LQA Global Shutter APS-C Sensor ? 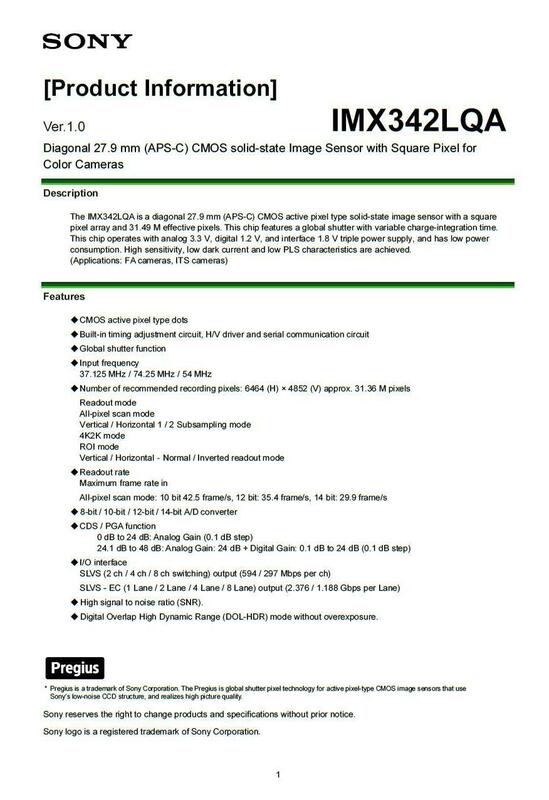 According to leaked images from Weibo, the upcoming Sony a6700 may use a new image sensor called Sony IMX342LQA, This image sensor is a global shutter APS-C CMOS sensor. The Sony a6700 is rumored to be announced this year around Photokina 2018. Global shutter would be awesome. The rolling shutter on the A6XX series is awful (worst in category). Global shutter would be a great improvement, especially for 4K video, but not at the expense of maximum shutter speed , noise, IBIS performances or read time. 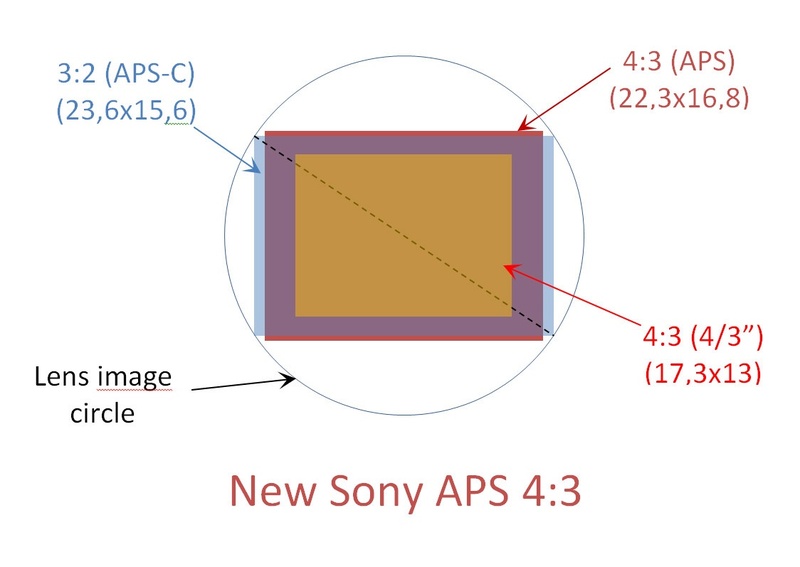 The new 4:3 (APS) has the same sensor area as the actual APS-C, larger than the 4/3″ Olympus, but a little bit small diagonal inside the APS-C lens circle.